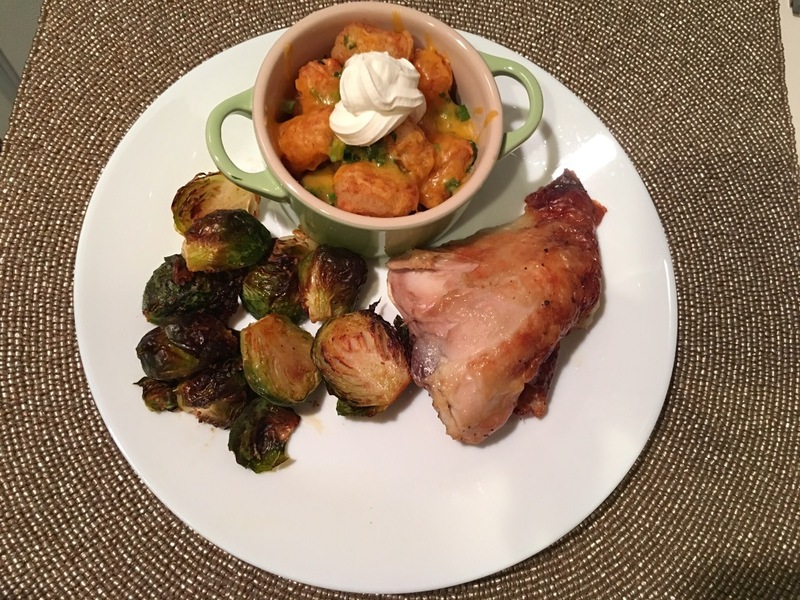 Quick dinner with the help of a rotisserie chicken – Hurried Home Chef! Take help from the grocery store when you can. A rotisserie chicken is one of the best ‘fast food’ options out there. As soon as you walk in the door, turn on the oven to 400. Then bring in the rest of the groceries. Chop them in half quickly, toss with EVOO, salt and ground hot peppers. 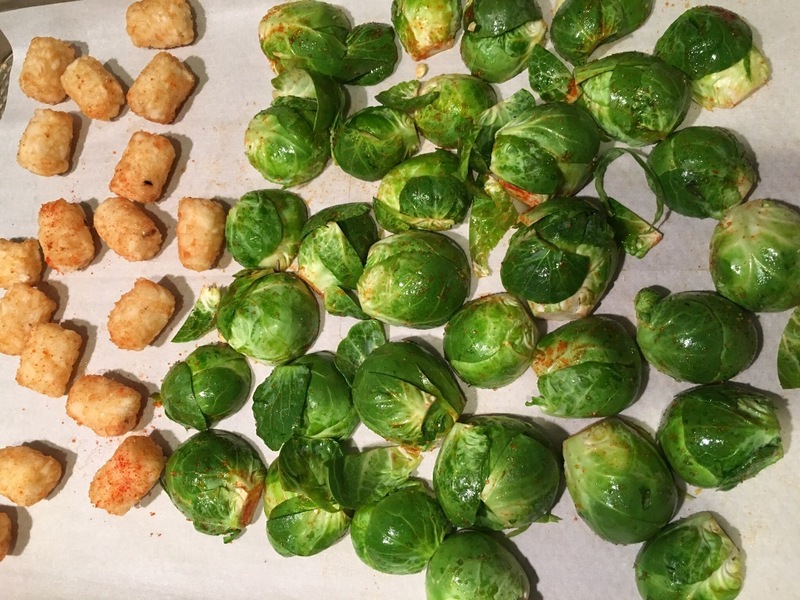 Place on a baking sheet and put into the oven, flat side down. 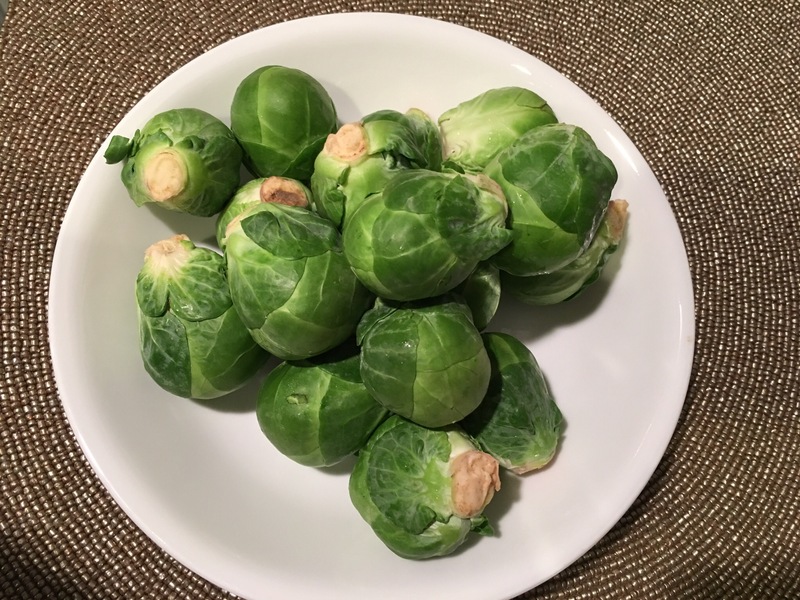 Let’s be real, most kids and lots of adults are not into brussel sprouts, so you can add whatever you want to make dinner time less painful! 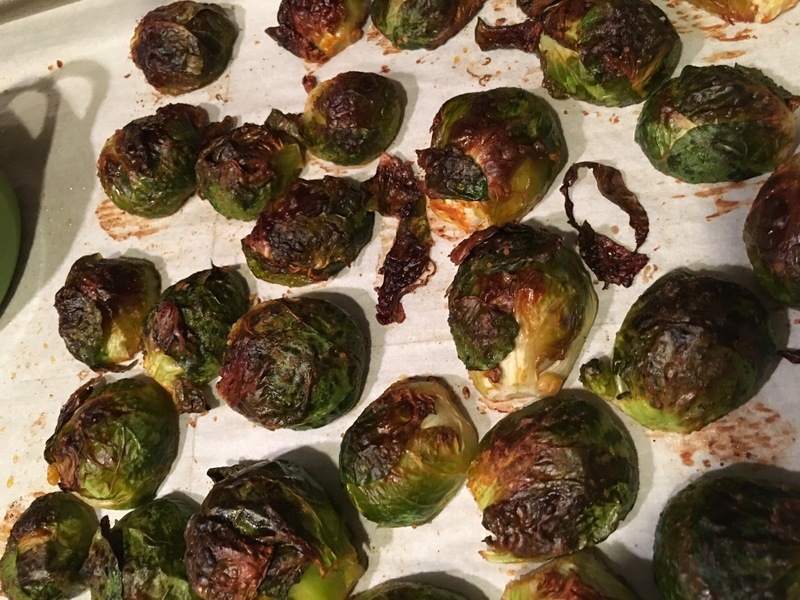 After about 30 minutes, they will brown a bit and cook enough to eat. Since I put it on parchment and used very little oil, it will take longer to brown or get a little crisp on it. I like them well done like this, after about 45 minutes in the oven. 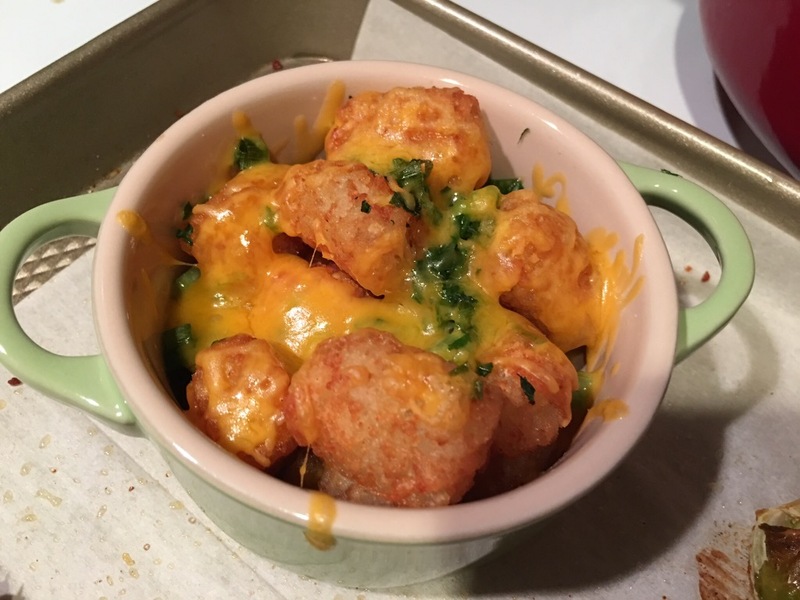 By this time I added some cheese and green onions to the potatoes, and put a piece of chicken to warm with this too, but if you are cooking for a crowd, just warm up after you cut it. This is an indulgence, and serving it in a pretty dish makes it even better. Quick dinner after a grocery shopping marathon. 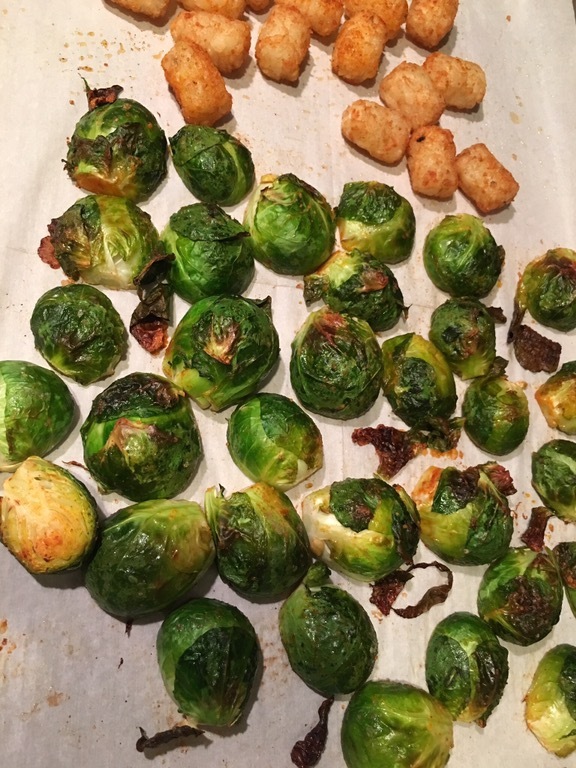 All groceries were put away and I also roasted other veggies while the oven was on. You can bake a cake too if you’re feeling ambitious! The rest of the chicken can be used in many ways depending on what you have left. Chicken alfredo, chicken low mein, fried rice, or buffalo dip are a few suggestions.